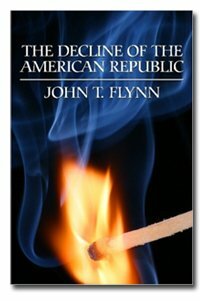 In 1955, John T. Flynn saw what few others journalist did: the welfare-warfare state conspired to bring down American liberty. The New Deal combined with World War Two had fastened leviathan control over a country born in liberty. This early analysis of the causes of the Great Depression and the failure of the New Deal also notes a point later demonstrated in detail by Robert Higgs: the economic boom of WW2 was false in every way, an artifice created by misleading government data and inflationary finance.